You thought it would never come, but the end of the year is almost upon us, and with it the latest Call of Duty release from Activision. Now's your chance to catch the game at a discount before it rolls out: Today, Newegg's selling Call of Duty: WWII for $50. That's $10 cheaper than the $60 regular price on Steam, Amazon, and elsewhere. Here are the caveats: This is for the disc-based version of the PC game, and it's one of those "see price in cart" deals, so you won't see the price on Newegg's listings. The game is set to release on November 3, and Newegg says the disc will ship "after" this date. That means you probably won't be playing on day one, but you're saving 10 bucks. Keep in mind, too, that Newegg doesn't allow returns on games. The appeal of this game is not to play a "must-have" game of the year. 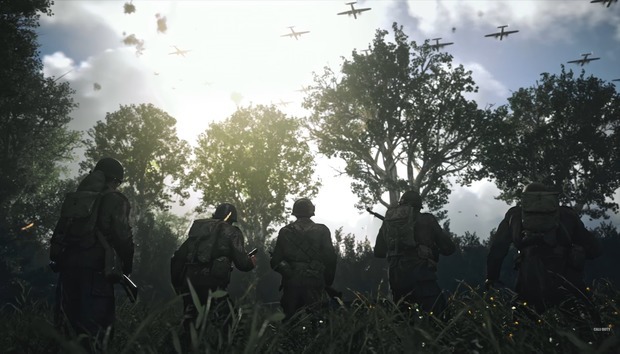 It's more a sentimental return to Call of Duty's roots, or, as our games reporter Hayden Dingman said in his early look at the game, a chance to see "Normandy landings done with 2017 tech." The new Call of Duty does, however, have an interesting new multiplayer mode called War that offers Overwatch-like gameplay. Check out the link in the earlier paragraph to see Hayden's take on this new feature. « Apple just bought its own wireless charging company. Here's why.